“Nonfiction novel” is probably as oxymoronic a concept as “creative nonfiction” is a redundant one. 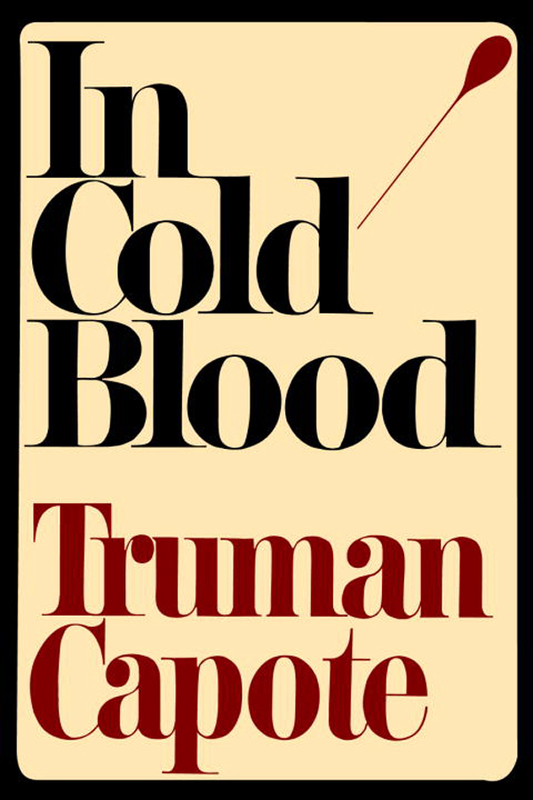 IN COLD BLOOD is a paradigmatic text for true crime and for that particular brand of literature that we are meant to take as based on reporting, but makes use of literary techniques such as nonlinear narrative. A dirty confession: nonfiction is my vocation of choice, and ive always had a quasi-inferiority complex about it. Here i am spinning a narrative that is hopefully well-written, interesting, and populated with compelling characters. But it must be firmly based in my research, and a fiction writer can do just about the same thing only making it all up! Sometimes the truth claim of the genre feels like a safety net for me: im not supposed to make anything up, which is a relief since whenever i have tried to write fiction i cant even convince myself. On the other hand, there’s a reason why “based on a true story” has been applied to so many mainstream books and films, even with great strain. There is a discrete interest in literature based on facts. Nonfiction books and documentary films strike me as uncharted territory even to this day, not in the sense of a glorious new frontier, but rather a space littered with mines left over from a long-forgotten conflict whose exact locations no body really knows. So the nonfiction that compels me the most takes a self-reflexive tack, asking among its particular inquiries: where do you draw the line between historical fact and the literary techniques of emplotment and fabulation that create myth? And what can we really know, anyway? What is “creative nonfiction?” “True stories well told,” according to the journal, but that might only push the question back a step and split it in two. Where might the imperative of telling the story well overcome that to keep the story true?